2396: A lone Homeworld Gem is charged with maintenance of an Intrepid-class ship captured two years prior. With its life support systems offline and its entire crew in stasis, Pyrite has the ship to herself - but she's alone, with only a hologram named Connie to keep her company. Meanwhile, a kid named Steven is visiting his adoptive Voth cousin Regan Torra, who serves on the USS Rhode Island under Capt. Harry Kim. it can be pretty heavy? It's their first year in University but life has so many changes for them. Jean's parents are getting a divorce but thankfully Marco, his sweet angel is here for him. His unwavering and sunshine best friend. But, Marco is not really what he seems. I met a man at a coffee shop one day. I asked him on a date, and when we touched, memories flooded my head, a whole lifetime of memories, with details that only I could know. I felt the urge to wrap my arms around him, to hold him, and never let go. I loved him in my past life, and it cost me my life. I used to be a young man named Eren Yeager, who's life was cut short at age 19. He was going to save the world, he was going to be in history books as the man who liberated humanity, and instead, all records of him were "lost", as well as that of his lover, Levi. Its his turn to be recognized, and time for his story to be shared. Angst. Have I mentioned angst? After the off season secretly recovering from an injury, the last thing Levi wants to do is go through summer training camp with a bunch of new recruits. Upon first walking out onto the field his eyes meet the glimmering gemstone eyes of Eren Jaeger, formerly their top rival’s top running back. He has no idea why he’s there in a training uniform no less, but he’s not ready for the instant animosity that sparks between them. Abrasive, egotistical, loud, and selfish; it was no wonder why the rookie running back never worked well with his old teammates. When their worlds collide, Levi will have to pull everything he can to make sure that his last year on the collegiate football field will be his best. One person stands to ruin his chances if he can’t get over himself and learn to work with others. The two will have a year to learn to work with each other and the team to be able to finish their year as the best in the region. Will the boys be able to find common ground to help them both strive to be their bests or will they run themselves into the ground trying to deny what they both know is happening, as their time together begins to cause them to grow to be more than just rivals and before long teammates on and off the field? Eren has never fitted in. Anywhere. Not even with the shredded remainder of his family. With no parents or relations willing to take him in, he lives alone with his sister in a tiny house they can barely afford. He was just a sad omega with no mate. That's only one of the things he's bullied for. However, when the most popular guy in school begins sticking up for him, things might begin to look up for the lost boy. Henrik was faced with a choice, in the days following his walk into the lake. He could either follow John's advice and not tell Roxanna, pushing her away from him to focus on his studies. Or he could let her in on what he was going through, trusting her to not reject him. This time, he chooses to take that leap of faith in her. In the wake of her and Steven's big reveal, Connie is grounded. So very grounded. But she still gets to see Steven. And go on missions. And play Lutes and Loot with Peedee and Jeff. It's weird, but so is her life. Regardless, she and Steven have to navigate more than a month of her being weirdly grounded. It's tricky but hopefully the two of them can talk some sense into the gems, all while the gems try and talk some sense into them. After being taken by family friend Thorian (Y/N), it will take all of her strength to survive what about to be done. With her memories completely wiped she will fall under the watchful eye of Ymir, Queen of vampire hunting vampires. With (Y/N) being the second of her kind she takes the title of being a Princess. Throughout her journey to slay vampires she runs into her old lover Levi, whom she has no memory of and attempts to kill him. Confused Levi repeatedly tries to restore (Y/N)'s memories. How will (Y/N) regain her memories? Can Levi put up with it? And how will this affect her best friend Hanji let alone her uncle and sister? 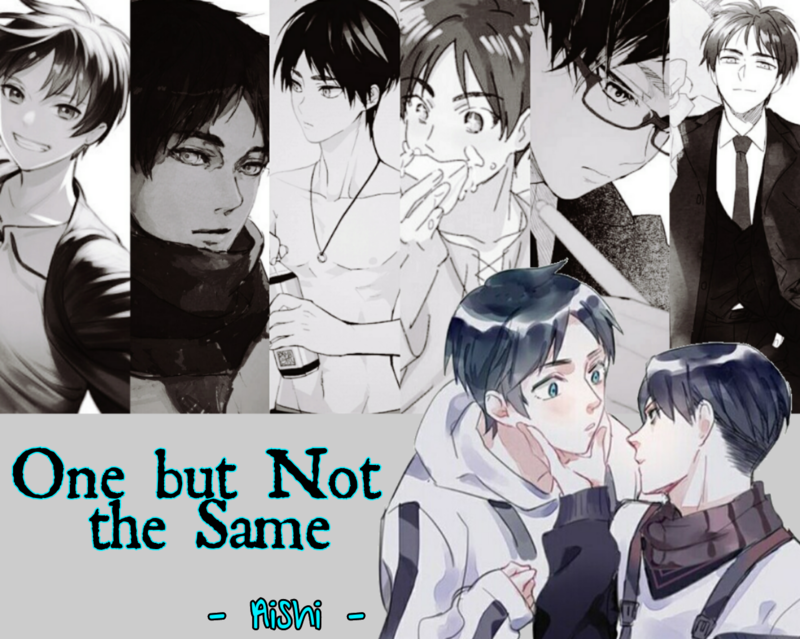 Eren, has a crush on Levi. Armin has a crush on Erwin. Mikasa likes Annie alot. Sasha and Connie might become a thing, along with Jean and Marco. Hange decided to use this to her advantage. So she does what she does and conducts an experiment on all of them. It goes exactly how she plans it to. Leaving all the others very surprised.